Charles is the founder and President of Charitable Trust Administrators, Inc., (CTAI). Mr. McLucas graduated from California State University, Fullerton in 1967. After employment with the Internal Revenue Service as a Revenue Agent, he entered the Public Accounting field with offices in Orange County, California. In 1980 Mr. McLucas moved to Northern California where he established a fee-only CPA financial planning practice and began offering charitable trust administration services through his firm. In 1995 he established CTAI to provide third-party administrative services for donors who desire to be their own trustees and to provide full back office support for nonprofit organizations that do not have fully staffed planned giving departments. 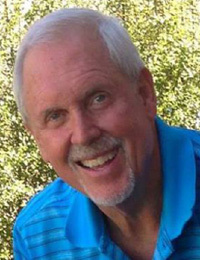 In 2000 he sold his CPA practice in Redding and returned to Southern California to focus on his charitable trust administration work and estate planning for high net worth individuals. As a CPA who has specialized in financial planning, Mr. McLucas received one of the earliest designations as a Personal Financial Specialist by AICPA in 1987 after completing the education, testing and other requirements for that specialization within the accounting profession. He has served on the Board of Directors for Crown Financial Ministries-Western US, Law Enforcement Chaplaincy of Shasta County, CareNet Pregnancy Center of Tri-Counties, as well as several other nonprofit organizations in both Northern and Southern California. He is a member of AICPA, California Society of CPAs, and International Association for Financial Planners. He is a member of the Association of Professional Fundraisers, the Orange Coast and San Diego Estate Planning Councils, as well as the Planned Giving Round-tables of Orange County, the Inland Empire, San Diego, Southern California and Sacramento. He is on the Professional Advisory Committee for the Community Foundation of the Jewish Federation of Orange County, St Jude Hospital Foundation, St. Mary Hospital Foundation. Mr. McLucas is a frequent lecturer and has published several articles on the use of charitable remainder unitrusts in the JOURNAL OF PERSONAL FINANCIAL PLANNING and other periodicals. He is on the faculty of the CERTIFIED SPECIALIST IN PLANNED GIVING professional designation program as administered by the American Institute of Philanthropic Studies and Long Beach State University.